Dubai has established a strong international reputation as a vibrant and diverse destination with a quality hospitality offering, first-class infrastructure and a range of headline grabbing attractions. While the city is well known for luxury, it also offers great value for those travelling on a budget. A city with many different names and even more facets: the city of Rubens, the world diamond centre, one of the international fashion capitals, a maritime metropolis and a culinary trendsetter. Although the city is pocket-sized it does have a metropolitan feel to it. And although Antwerpers can be a bit quirky at times they are above all welcoming. 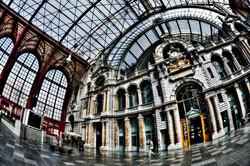 Antwerp is often praised for its rich history but at the same time it is also a contemporary city. You could even go as far as saying that Antwerp keeps its own time. “I wanted to thank Meeting in Brugge for the outstanding support you have provided us within the frame of the company event organized for our client. From the beginning your input was really professional, sharp and efficient especially for this event which required the combination of many hotels for the accommodation part, and a large conference center offering a large plenary room with many break-out rooms. 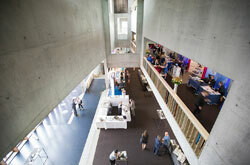 Flanders is the place to be for conferences & meetcentives! In this small but great region you can find everything you are looking for in a destination: beautiful historic cities ‘Brussels-Antwerp-Ghent-Bruges- with lots of art and culture, a refreshing sea breeze and excellent seafood on the coast and the peace and quiet of the Flemish Countryside. Everywhere – yes absolutely everywhere – you can find high quality hotels, restaurants and meeting venues. And when we talk about special venues in Flanders, we really do mean special! Wouldn’t you like to organise a cocktail reception in a medieval fortress? Or perhaps you prefer having a dinner party in one of Napoleon’s former residences! Let’s not forget the short distances between cities and our worldwide reputation for high standards and customer care! Thanks to these qualities, organising an event or a meeting in Flanders becomes very easy! 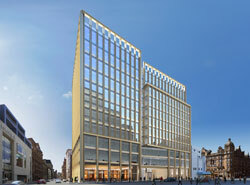 Glasgow is a city bursting with life, energy, passion and personality. It’s one of the world’s great cities, offering residents, visitors and businesses an extraordinary quality of urban life. As host of the 2014 Commonwealth Games, it is Glasgow’s time to shine on the world stage and showcase its remarkable offer. As one of Europe’s top twenty financial centres, one of the most popular conference venues worldwide and one of the world’s top ten sporting cities, Glasgow has a lot to shout about.